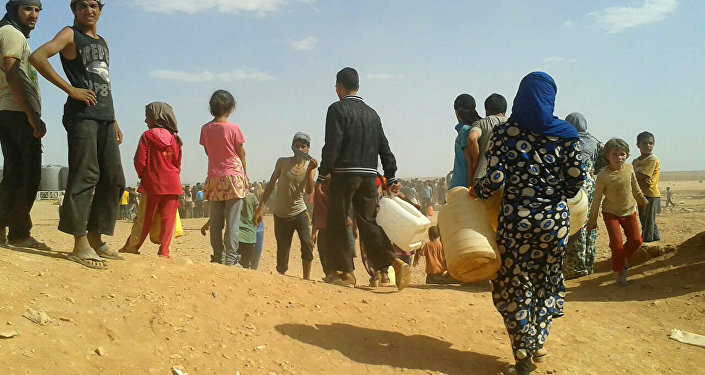 MOSCOW (Sputnik) - More than 1,300 refugees have left the Rukban camp in Syria through the humanitarian corridor in the past 24 hours, according to Major General Viktor Kupchishin, the head of the Russian Centre for Syrian Reconciliation. "1,358 refugees have left the Rukban camp through the provided humanitarian corridor in the past 24 hours," Kupchishin said late on Sunday at a daily news briefing. Last week, Russian Ambassador to the UN Vassily Nebenzia said at a meeting of the UN Security Council that Moscow intends to continue negotiations with the United Nations, the United States and Jordan on the issue. Nebenzia pointed out that tens of thousands of internally displaced persons in the camp are being kept on "humanitarian drip" in unacceptable conditions and the vast majority of them wishes to leave the settlement and return to their places of origins. Nebenzia also noted that Russia had already opened up two humanitarian corridors to allow the passage of refugees from Rukban to chosen places of residence, including Latakia, Homs, Palmyra, suburban Damascus and Aleppo, among others. Russia and Syria have repeatedly tried to draw the attention of the international community to the deplorable conditions at the camp, which houses more than 40,000 internally displaced people, mostly women and children. Both Moscow and Damascus have criticized the United States over its reluctance to allow people to leave the camp. 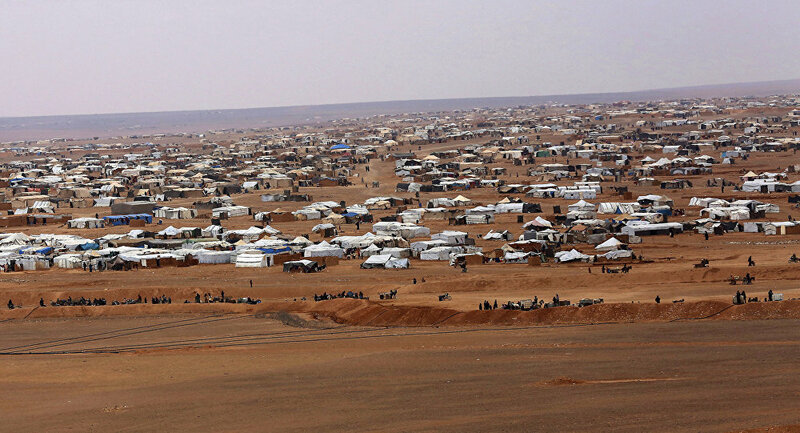 The Rukban refugee camp is part of the US-controlled zone around its base in At-Tanf. Since 2017, Russia has been one of the three guarantors of the ceasefire in Syria, which has been engulfed in a civil war for years. The Russian armed forces have been providing military assistance to Damascus throughout the conflict, while also carrying out regular humanitarian operations across the country. Russia is now assisting Syria in the post-war reconstruction and the return of refugees.